It's the economic stimulus' first birthday, but don't expect any big celebrations. The general public's opinion of the bill that authorized the government to spend $787 billion to create jobs and end the recession is that it has been a dud. According to a recent CNN poll, nearly three-quarters of Americans think that at least half the money spent has been wasted. Economists and policy watchers have a higher but still mixed opinion of the bill. Most agree that it has created jobs, and the government can specifically point to 600,000 of them. Tax cuts, the extension of unemployment benefits and other measures that didn't directly lead to new hires also boosted the economy. Overall, economic forecasters such as Moody's Economy.com and IHS Global Insight say the bill generated paychecks for anywhere from 1.5 million to 2 million people who would have been out of work this past year without the stimulus. But what makes the bill's success hard to judge is that it was oversold. 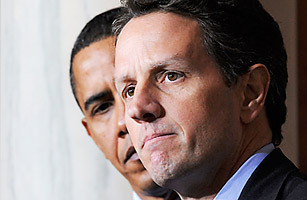 Before the stimulus was passed, a report from President Obama's economic advisers predicted that the bill would ensure that the unemployment rate would remain at 8% or below. By that estimate, the bill looks like a failure. A few months ago, the unemployment rate hit 10%; currently it is 9.7%. Another problem is that the bill included a huge jumble of programs. How do you evaluate the $10,090 of stimulus money that was spent in Ely, Nev., to build a fence to keep cattle off a highway? Drivers, and the cattle, most likely appreciate it, but did building that fence really stimulate the economy? What's more, one year out, much of the money allocated by the bill has yet to be spent. Just $272 billion has been put into the economy. So with two-thirds of the stimulus' power untapped, it is hard to say what the final outcome will be. Even so, a number of the programs the bill did sponsor seem to have been successes. But what is clear is that keeping people employed was costly. Even if you take the high end of the employment estimates  2 million jobs  the government has spent $140,000 per job created. Surely, we should be able to employ people for less. "If you put that much government resources into the economy, you are going to boost GDP," says Vincent Reinhart, resident scholar at the conservative think tank American Enterprise Institute and a former top Federal Reserve economist. "But I don't think we got a lot out of it." Here is a rundown of a few stimulus programs and how they turned out.